In an increasingly chaotic and frightening world, more people than ever are concerned about government surveillance. Surveillance is easier than ever before thanks to the wealth of data captured and stored on devices like the iPhone. From our communications to the locations we visit to our social networks, our phones contain a lot of sensitive information about us and our activities. They also contain features that help us protect our digital privacy and prevent government spying. Communications records are a frequent target of surveillance operations. Encryption and taking certain precautions with the apps you use can help. ExpressVPN — Free app. Service costs US$8-13/month. IPVanish VPN — Free app. Service costs $6.50-$10/month. VPN by NordVPN — Free app. Service costs $5.75-$12/month. Tap + to open a new Private Browsing window. Eavesdropping on conversations can net a ton of useful information — unless your conversations can't be cracked. To do that, you need to use a chat app with end-to-end encryption. This means that every step of a chat, from your phone to the chat server to the recipient's phone, is encrypted. Apple's iMessage platform works this way, as do a number of other chat apps. IMessage is a great option since Apple has taken a strong stand against creating a backdoor for the government to access conversations. Just make sure that no one in your iMessage group chats is using Android or another smartphone platform; cross-platform messaging breaks encryption for the entire conversation. The Electronic Frontier Foundation, a digital rights and policy organization, provides a useful Secure Messaging Scorecard to help you find the best chat app for your needs. Encryption is a key way to keep prying eyes away from your private communications. While there are a number of totally encrypted chat apps, it's much harder to find unbreakable encrypted email. In fact, some encrypted email providers have shut down due to government pressure. One good option includes ProtonMail, but just make sure that you're emailing someone who also uses it. Like with chat, if a recipient isn't using encryption, all of your communications are at risk. Sign out of, or delete, your account (this won't delete the social networking account, just the data on your phone). Spying doesn't just happen over the internet. It can also happen when police, immigration and customs agents, and other governmental entities get physical access to your iPhone. Everyone should use a passcode to secure their iPhone, and the more complex your passcode, the harder it is to break into. We saw this in the showdown between Apple and the FBI over the iPhone in the San Bernardino terrorism case. Because a complex passcode was used, the FBI had a difficult time accessing the device. A four-digit passcode isn't enough. Make sure to use the most complex passcode you can remember, combining numbers, letters (lowercase and uppercase). For tips on creating secure passwords, check out this article from the EFF. Tap Custom Alphanumeric Code and enter a new passcode. Move Erase Data slider to on/green. Too many attempts to unlock your iPhone with the wrong passcode can lead to it being disabled. Learn how to fix this problem in How to Fix "iPhone Is Disabled" Error. We think of the fingerprint-based security offered by Apple's Touch ID fingerprint scanner as very powerful. Unless someone can forge your fingerprint, they're locked out of your phone. Recent reports from protests have said that police are bypassing this restriction by physically forcing people who have been arrested to put their fingers on the Touch ID sensor to unlock their phones. If you're in a situation where you think you could be arrested, it's smart to turn off Touch ID. That way you can't be forced to put your finger on the sensor and can rely on a complex passcode to protect your data. Move all of the sliders in the Use Touch ID For: section to off/white. If you're taking pictures at an event — a protest, for example — your phone is unlocked. If someone grabs your phone while it's unlocked, he or she can access your data. Having a very short autolock setting can help with this problem, but it's not foolproof in this scenario. Not unlocking your phone at all is a better security measure. You can do this, and still take pictures, by launching the Camera app from your lock screen. When you do this, you can only use the Camera app and view the pictures you've just taken. Try to do anything else, and you'll need the passcode. To launch the Camera app from the lock screen, swipe from right to left. Find My iPhone is useful for protecting your data if you don't have physical access to your iPhone. That's because you can use it to delete all data on the phone over the internet. To do that, make sure you've set up Find My iPhone. Then, use Find My iPhone to delete your data. The Privacy controls built into iOS let you restrict apps, advertisers, and other entities from accessing data stored in apps. In the case of defending against surveillance and spying, these settings offer a few useful protections. Move the Frequent Locations slider to off/white. Either move the Location Services slider to off/white or tap each individual app that you want to restrict and then tap Never. Here are a few other tips that can generally serve you well in protecting your privacy. U.S. Customs and Border Protection agents may ask people coming into the country — even legal permanent residents — to provide access to their phones as a condition of entering the country. If you don't want the government rooting through your data on your way into the country, don't leave any data on your phone in the first place. Instead, before you travel back up all the data on your phone to iCloud (a computer can work, too, but if that's crossing the border with you, too, it might also be inspected). After you're sure that all of your data is safe, restore your iPhone to its factory settings. This step deletes all of your data, accounts, and other personal information. As a result, there's nothing to inspect on your phone. When your phone is no longer at risk of being examined, you can restore your iCloud backup and all of your data onto your phone. 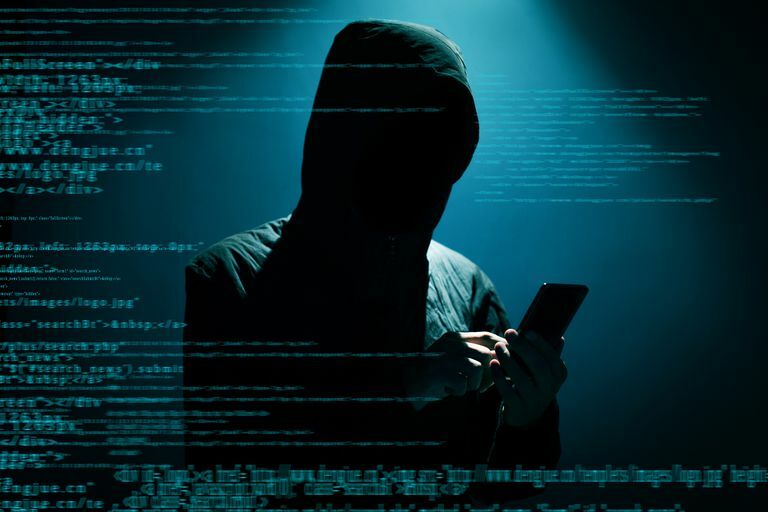 Hacking the iPhone is often accomplished by taking advantage of security flaws in older versions of iOS, the operating system that runs the iPhone. If you're always running the latest version of iOS, those security flaws are likely to have been fixed. Anytime there's a new version of iOS, you should update — assuming it doesn't conflict with any other security tools you use. Want to learn more about protecting yourself and your data, with tutorials aimed at journalists, activists, and many other groups? Check out the EFF's Surveillance Self-Defense website. Can the Government Hack Your iPhone?